Jing’an is a potted history of Shanghai. Century-old villas, well-preserved traditional shikumen neighborhoods with high walls and stone gates, and renovated factories all have a story to tell. Glitzy retail malls, charming boutiques and annual music and arts events give the district a distinctive ambience and ever-growing opportunities. In this series, we explore some of the landmarks that have come to characterize the district’s culture and history. 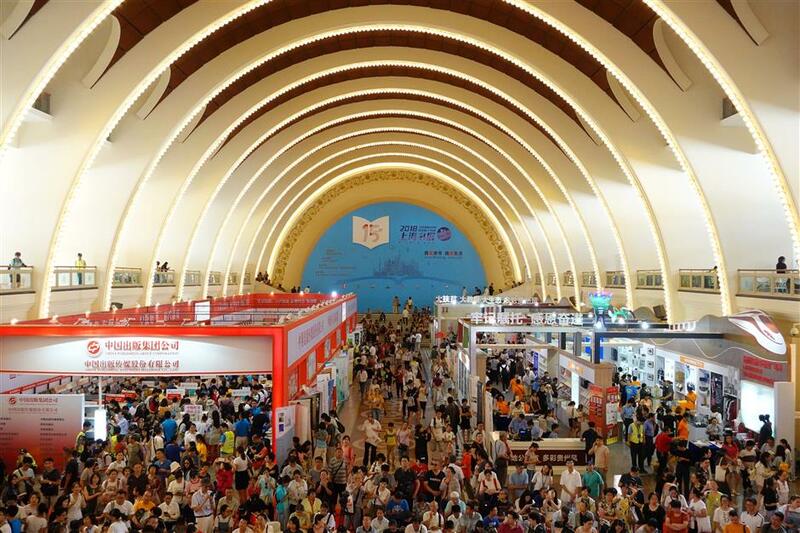 Add: 1000 Yan’an Rd M.
The Shanghai Exhibition Center drew large crowds during the annual Shanghai Book Fair on August 15-21. The center was chosen to host the event because of its beautiful structure and prime location. The annual Shanghai Book Fair opened this month in the Shanghai Exhibition Center, with more than 150,000 books on display. The center was chosen as the venue because of its beautiful structure and prime location. Sandwiched between the Yan’an and Nanjing roads, the building’s architecture is one of the few throwbacks to the era of Soviet influence. The complex was completed in 1955, thanks to the joint efforts of architects from China and Soviet Union. It is modeled on St Petersburg’s Admiralty, with some Chinese political elements embedded in the décor. The stately, historical setting complemented this year’s book fair, which ended on August 21 and focused on traditional Chinese literature. The sinology section featured more than 5,000 titles on Chinese classics and philosophy. 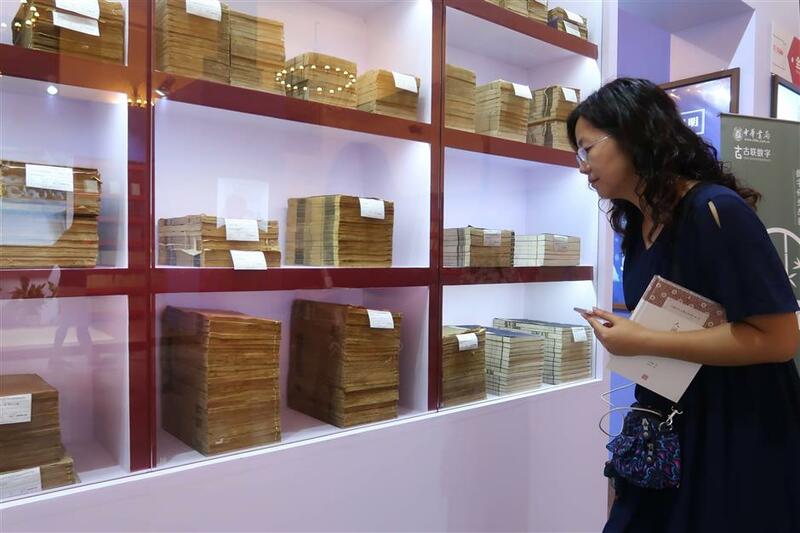 The highlight of the event was a display of 35 books dating back to the Ming Dynasty (1368-1644), including thread-bound and wood-bound volumes. The ancient books were on loan from Shanghai Library’s storehouse of treasures. Performances with traditional Chinese instruments, such as the Chinese zither and bamboo flute, were held at the event to create a vintage atmosphere. Zhang Qingheng from China Bookstore explained the history and crafts of these ancient books to readers. A woman looks at thread-bound books. This year’s book fair also showcased more than 4,000 imported editions. Some publishers found creative ways to attract readers to original foreign editions. Penguin Random House, for example, brought in four Japanese capsule-toy machines that dispensed badges bearing the titles of the publisher’s books to buyers as souvenirs. Harper Collins Publishers gave readers who bought Agatha Christie’s works gifts such as drinking mugs. The Shanghai Book Fair has been held for 15 years. For many residents, it’s more than just another fair. It’s become a summer event not to be missed. Shi Xiaocheng, 84, said he felt like he was visiting an old friend when he attended the fair. Fu Jie, a Chinese-language professor at Fudan University, said the fair is far superior to others. The fair is also a place where like minds can meet and exchange ideas. By the end of this year, three 24-hour self-service libraries will be built in Zhabei Park, in the Linfen Road subdistrict and at a military barracks. That will bring to seven the number of such libraries in district commercial complexes and industrial parks. The new library services allow people to come and read whenever they want. The concept has been popular with people on shift work and insomniacs who welcome a place to go in the middle of the night. There are no on-site librarians. Each facility provides hundreds to thousands of books, selected by the district library according to the borrowing tastes of local residents. Readers can borrow books from the shelves by using a library card. The Jing’an Library’s branch on Tianmu Road M. started renovation in June. Plans call for the facelift to create a “cultural gem” on the northern bank of Suzhou Creek, which itself is undergoing a makeover. The library façade will have folding, perforated aluminum panels to create the sense of rows of books. In the middle of the northern façade, there will be a huge glass wall, through which passers-by can peer into the building. Inside, a “shared reading venue” will be created by removing some walls. It will become a space for reading and social interaction -- a rendezvous venue for local residents. 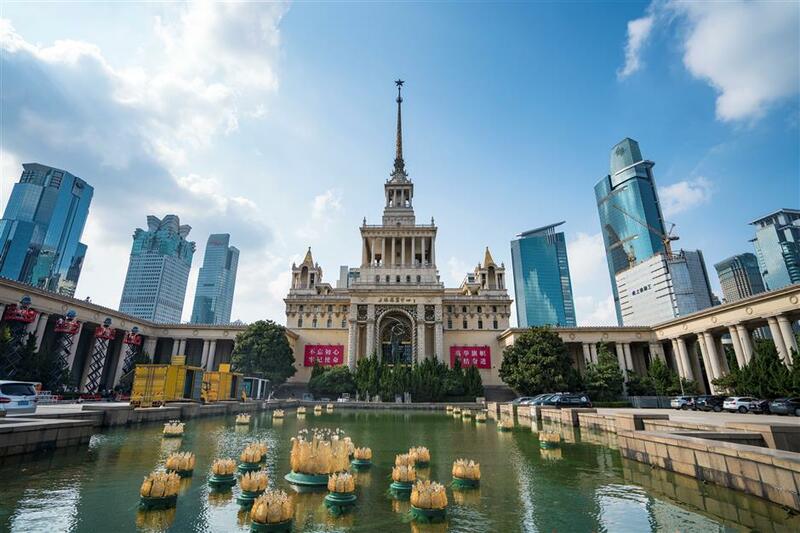 Jing’an is continuing efforts to create its “ten-minute cultural circle,” which promises that residents will live within a 10-minute walk from a cultural site, such as bookstore, a theater or a cinema. This year, more grassroots cultural venues will be added to neighborhoods, inviting residents to read books, chat with neighbors and take part in a variety of activities. Also, 160,000 movie tickets at discount prices will be sold to Jing’an residents this year. For just 5 yuan, Jing’an residents can watch newly released movies, including Hollywood blockbusters, in designated community cinemas, with the district subsidizing the cost.